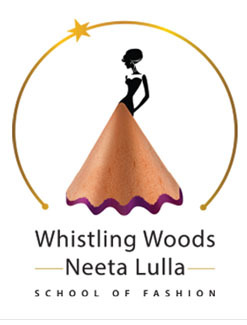 The Future of fashion form has been conceptualized by the fashion department of WWI-Neeta Lulla school of fashion with a view to set a dialogue with fashion professionals from various walks of the industry. The world is looking at India as a lucrative market, but at the same time the question is can we truly give a global product and word class retail environment. The forum also aims at understanding the influence global trends have on Indian fashion as well as the use of new age technologies for fashion products and services. India’s handicrafts have registered a significant growth per annum over the last decade. Handicrafts, which were originally confined to gifts, antiques and similar other items now also include a diverse range of lifestyle products. Initiatives such as the Mijwaan Welfare Society are not only teaching girls embroidery and sewing but also giving them a livelihood by encouraging the creation and development of handicrafts through their “Crafts of Hope” initiative. India is emerging as a hub for luxury brands. The Indian economy has evoked a lot of interest globally given its statistics of some of the highest disposable incomes and increase in the number of millionaires. What would be interesting to understand is whether international brands can adopt the same strategy and pricing in India that has worked for them globally as well as the key challenges faced in the current context. The fashion retail market in India is currently at a very exciting stage with several new talents coming to the fore front. The question is how should the next generation of fashion entrepreneurs take their business to the next level, what are the business strategies & models that should be adopted, marketing plans put in place as well as the best practices to be followed. Global becomes glocal, when a nation has 2/3rds of its population below the age of 30 which is highly aspirational, digitally savvy and highly informed. Designers in the west have woken up to the fact that they have to design for the Indian market keeping their sensibilities and functionality with a western silhouette in mind. The international trends and styles are also increasingly impacting Indian design sensibilities and celluloid.